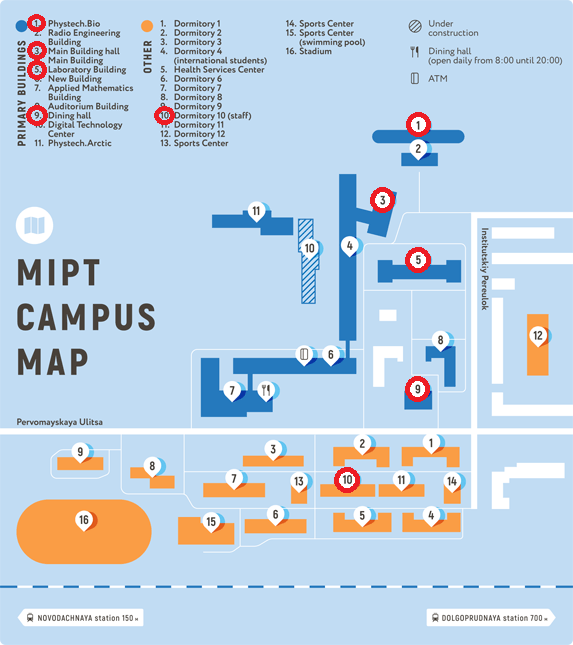 The easiest way to reach MIPT campus in Dolgopudny from Moscow is via train: from Savelovskii railway terminal (metro station Savelovskaya), or Timiryazevskaya railway station (metro station Timiryazevskaya), or Okruzhnaya railway station (metro station Okruzhnaya - Moscow central circle). The railway station to go out is Novodachnaya or Dolgoprudnaya. 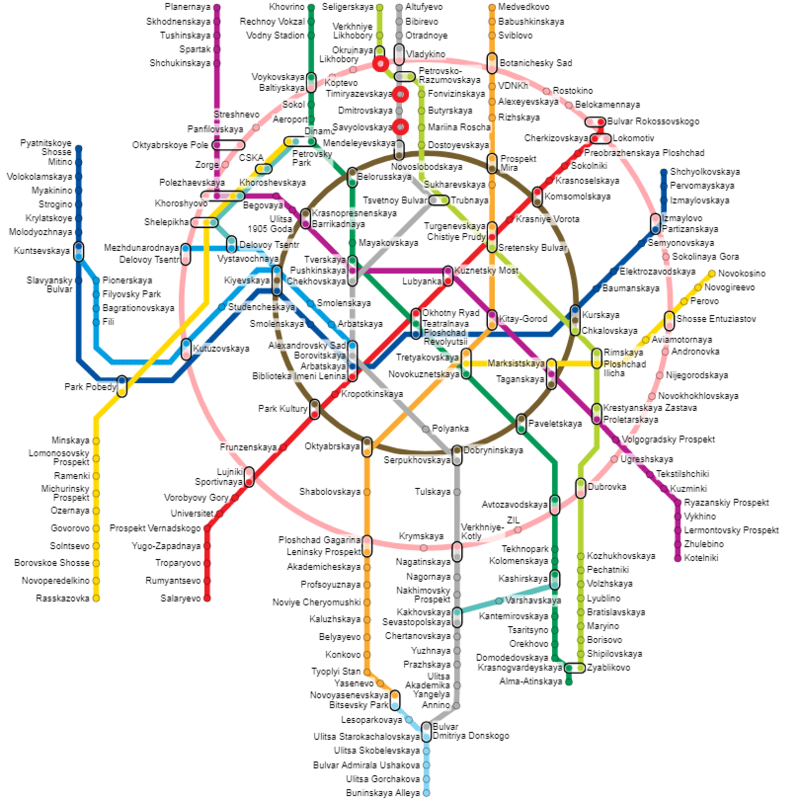 The fast transportation from airports Sheremetevo, Vnukovo, and Domodedovo to the centre of Moscow is via Aeroexpress train.